The Harmony at Home Nanny Agency Surrey office is owned and personally run by experienced childcarer Emma Kay. Emma is professionally trained and has worked within the childcare industry for 18 years. This experience includes being an Early Years Practitioner, Nanny, leading a childcare team in the French alps and childcare recruitment. 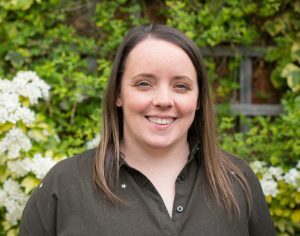 Emma provides a wide range of childcare services and uses her extensive knowledge to source professionally qualified Nannies and Nursery workers in Surrey. Our aim is to provide a bespoke service taking into consideration each individual’s needs in a sensitive and professional manner and always with the highest levels of attention to detail. I used Harmony at Home Nanny Agency Surrey for the first time, and found the service of consistently high quality. Emma was very efficient and found me the ideal nanny for our family. I recommend Harmony at Home Nanny Agency Surrey. Emma Chapman, Walton-on Thames, Surrey. Just to let you know the new nanny job is going wonderfully well!! I am loving the hours, and the children are very easy to look after. Once again thank you so much for being so brilliant in helping me get such great placements!! Angela Taylor, Nanny in Surrey. We’d like to thank you for your efforts on our behalf. Claire and I have both been very impressed at how you have worked hard for us and matched our requirements exactly. You’ve outclassed any of the other agencies we have encountered. Richard, Father of two. Thank you for finding Wendy for us. She was incredibly helpful. I’ll definitely be in touch if we need you again.” Katherine, Mother to a newborn baby. You really listened to what our needs were and managed to send the perfect candidate. Our own modern day Mary Poppins! It is going to make going back to work so much easier knowing there is someone I can really trust at home with Jessica and Archie. Kate, Mother of two, Surrey. Childcare Agency Services Provided in Surrey: Nannies, Nanny PAs, Nanny Jobs, Nanny Recruitment, Nursery Recruitment, Mother’s Helps, Emergency Childcare, Holiday Nannies, Mobile Crèche (Events, Occasions, Functions), Babysitting, Night Nannies. We provide services throughout the whole of the Surrey county region including Bookham, Camberley, Dorking, Godalming, Guildford, Haslemere, Hersham, Weybridge, Virginia Water, Wentworth, Chobham, Esher, Kingswood, Godstone, Cranleigh, Haslemere, Farnham, Shere, Redhill, Reigate, Oxted, Oxshott, Thames Ditton, Walton-on-Thames, West Byfleet, Woking and Surbiton.